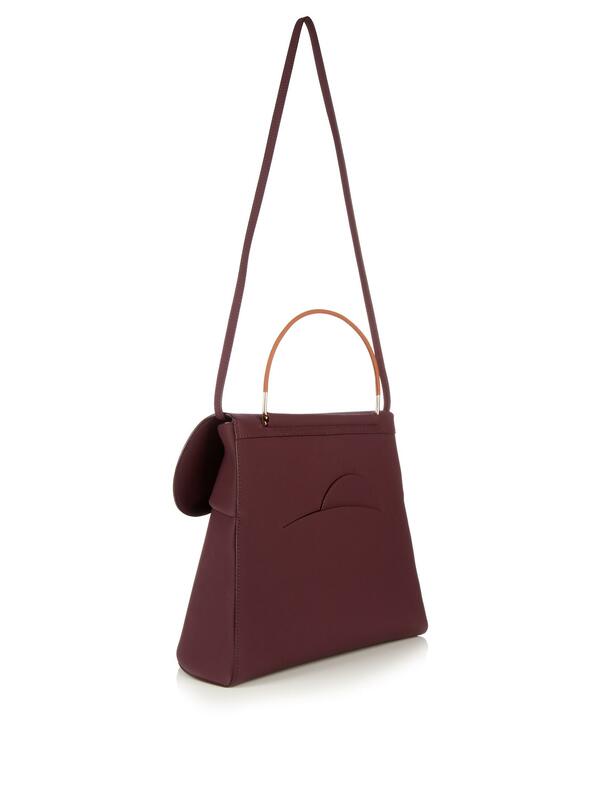 See more ROKSANDA Shoulder bags. We check over 450 stores daily and we last saw this product for $2,507 at MATCHESFASHION.COM. 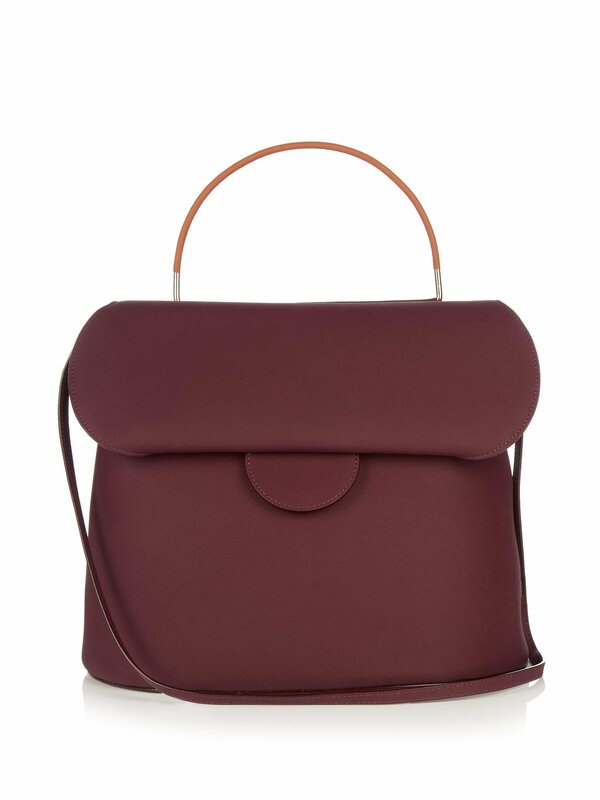 Roksanda presents its debut bag collection for AW16. A sleek pick, this plum-purple style is crafted from pebbled calf leather and detailed with two internal pockets, chicly concealed beneath a fold-under circular tab closure. 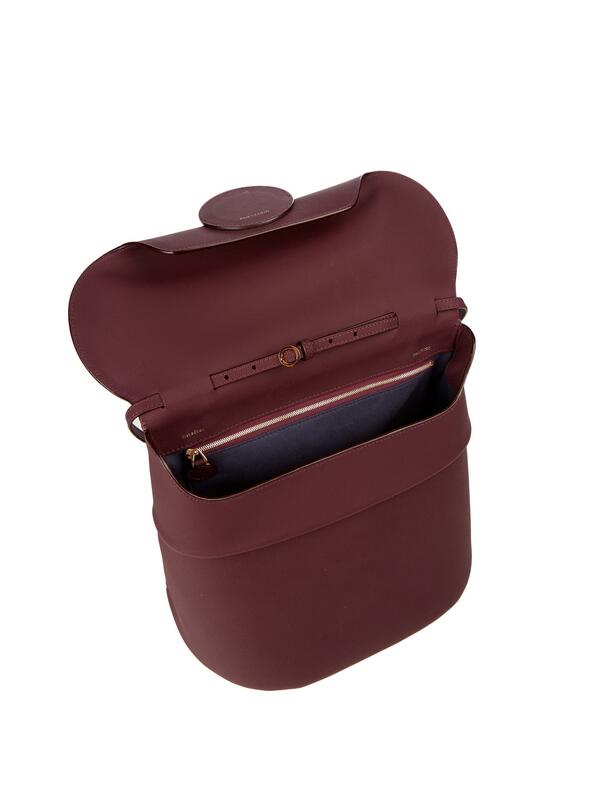 Carry it by the tobacco-brown leather-covered top handle to bring a note of modern elegance to sophisticated looks. 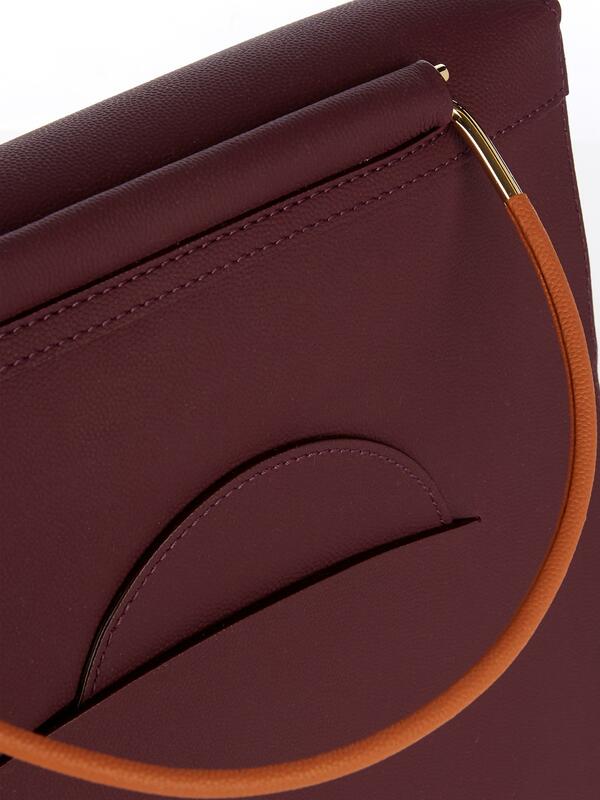 Plum-purple, pebbled calf leather. Tobacco-brown leather-covered slim gold-tone metal top handle, detachable and adjustable leather shoulder strap. 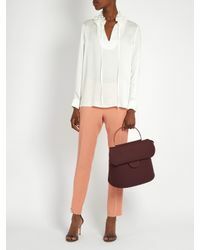 Two back-slip pockets, circular cut-out panel. 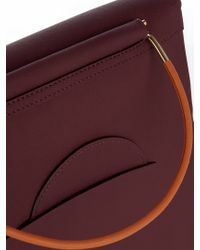 Front flap, fold-under circular tab closure. 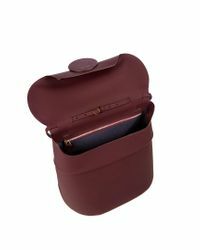 Internal-zip and slip pocket. Dusty-navy faux-suede lining. Country of origin: Italy. Can be held, worn over the shoulder or across the body. Length 11in/28cm. Width 12.6in/32.4cm. Depth 6in/15.2cm. Handle drop 4.4in/11.4cm. Min strap drop length 15.4in/39.3cm. Max strap drop length 20.4in/52cm.